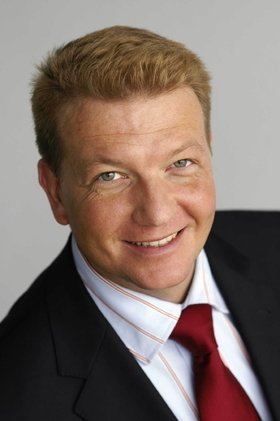 Thomas Aukamm was named director of Automechanika Frankfurt, the world's largest trade show for the automotive aftermarket, in March 2006 after a 15-month stint as director of international sales management at parent company Messe Frankfurt GmbH. He joined the exhibition giant in January, 2005, after slightly more than five years as head of international marketing and sales at Rucker AG, a global engineering service provider for the automotive and aviation industry. The 39-year-old Aukamm holds an MBA in European business management from London's Southbank University and a degree in international business administration from the University of Wiesbaden. He also attended master's programs at the Berlin School of Economics and Gutenberg University in Mainz. He is fluent in German, English and Spanish and enjoys classic cars, sailing and windsurfing in his spare time. Many aftermarket suppliers are still reeling from the impact of the global economic crisis of 2008-09, but few appear willing to miss this year's Automechanika in Frankfurt. According to show officials, some 4,400 vendors already are registered for the biennial aftermarket extravaganza, which typically draws about 4,500 suppliers. Companies from more than 80 countries will be represented at this year's show, although the majority will be from Germany. The show is scheduled to run Sept. 14-19. Automechanika Director Thomas Aukamm says he expects most companies this year to showcase products and concepts for electric vehicles, reflecting the auto industry's runaway interest in the technology. Recognizing that interest, he said, the show has set aside a full day for a speaker symposium on electric vehicles. Aukamm met with Automotive News Europe Correspondent Lois Hoyal recently to talk about this year's Automechanika. How large a role do you expect electric vehicles to play in this year's Automechanika? The number of electric vehicles on our roads is relatively low at this stage, of course, and the aftermarket is still preparing for their introduction. But they will play a very important role in the industry's future. That's why we have dedicated a full day this year to discuss and examine the topic. We have scheduled speakers from politics, utilities such as RWE and the automakers. Automechanika typically attracts 4,500 exhibitors. Are there more or fewer this year? The number has remained stable. There are 4,400 exhibitors registered so far, and there's still time for more to sign. More than 95 percent of our space, 165,000 square meters, is sold, compared with 171,500 square meters in our record year of 2008. Exhibitors from more than 80 countries will attend the show this year although the largest number, roughly 1,000, will be German. Are you seeing more exhibitors from emerging markets than in previous years? The aftermarket is becoming much more important to companies in the emerging markets, and I see a gradual tendency toward more Asian exhibitors this year. Chinese and Indian companies see Automechanika as a key platform for meeting other important players. Developing export business is a major goal for them, as it is for all exhibitors and visitors. We're also seeing an increase in exhibitors from Poland, Brazil and Argentina this year. How has the auto industry crisis of the past two years changed the aftermarket sales and servicing sector? Did it lead to a surge in aftermarket business as people tried to hold on to their private and fleet cars longer? The crisis didn't hit the aftermarket companies as badly as the Tier 1 suppliers because people chose to invest to keep their old car running rather than buy a new, replacement vehicle. The crisis also has led to a consolidation of brands in the market from acquisitions and mergers. Some companies have inevitably disappeared, although new companies have begun entering the marketplace, too. What significant new aftermarket business concepts or products can we expect to see at this year's show? The aftermarket is becoming more and more important to the car manufacturers, who are expanding in both downstream service and product areas. VW is an example. A car owner might take his second-hand Golf into a chain outlet for service because he thinks the factory dealership is too expensive, not realizing that the garage he's in is actually owned by VW. Automakers also are working hard to sell more original parts to independent service companies. So, are automakers' franchised sales and repair networks facing more competition from independent sales and repair companies than in previous years? Yes, they are facing increased competition due to the concentration of the number of competitors in the market. Existing players have increased their market share and become more powerful. Before the crisis, the aftermarket represented 6 percent to 9 percent of automakers' revenue and up to 20 percent of profit. Has that changed up or down? The figures are still accurate. The service sector has far higher margins than new-car sales, which typically yield just a 0.5 percent to 0.8 percent profit margin. Worldwide aftermarket sales currently amount to $700 billion. How would you rate the job being done by governments around the world to stop counterfeiting? Counterfeiting should become a much more important focus for governments. In no other industry can counterfeiting affect the consumer as much in terms of safety. Consider counterfeit brake pads, for example. Yes, they might be cheaper to buy, but ultimately they could prove very costly in terms of vehicle damage or human life. Will you have officials on the show floor checking to make sure that an exhibitor is not showing counterfeit parts? We will be working closely with the customs authorities, both before the show and during it. We will provide a dedicated booth, manned by legal experts, where attendees can get up to date information on counterfeiting. Do any single countries or regions have special exhibits this year to try and attract investment? Yes, we will hold a special east European day and a Russian day this year. Poland also will have a stand promoting exports.